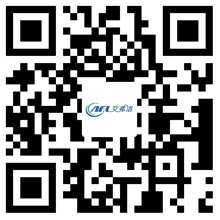 Get into Know About Centrifugal Fan - Hangzhou Airflow Electric Appliances Co.,Ltd. Centrifugal fan was invented by Russian military engineer Alexander Sablukov in 1832. It is mainly used in light industry. A centrifugal fan uses a rotating impeller that moves the air in two directions, first from the outside, and then to the tip away from the blade. The centrifugal fan usually has 6 different blade types that pull air into the entrance of the housing, push air over the wheel, and discharge it through the exhaust unit of the assembly at an angle of 90 degrees. The centrifugal fan produces relatively high pressure when the air moves outward from the blade hub to the tip of the blade. They are often used in heavy environments that contain large amounts of water and particulates. The term squirrel cage fans and blowers are often interchangeable because this configuration resembles the hamster wheel. The kinetic energy produced by rotating blades is used to increase the pressure of the air flow and then used to drag over the dampers, ducts, and other components. A covered radial blade blower wheel used to transport large quantities of air under high pressure and used in blowing systems with extended pipe or pipe work. A centrifugal fan with an open radial blade with a backing blower; used for conveying granular or powdered materials and fibers. An alternative design for particulate material transfer may also be an open paddle wheel without a backplane. In a backward tilt wheel design, the plate is mounted around the circumference of the plate in the same configuration as the airfoil or the wing of the aircraft. They are used for ventilation, HVAC and dust collection systems. The forward curve multi impeller is used to deliver larger volumes of air at slightly pressure, and is also used for HVAC units operating at slower speeds. The final wheel configuration is bent backward, the radial blower wheel is actually modified by the open blade wheel, but the performance is greatly improved. It can really be used for conveying granular materials.